Since he got a licence to build GP14s, SP Boats’ Managing Director Steve Parker has sold 64 in just over 18 months with another 8 on order. Following on from the success of the SP1 boat, Steve is due to launch a second GP14 boat design this winter. “About four years ago we had the opportunity to buy the Boon moulds which we did at the time just to make sure no one else did. At that time, we were looking to develop our own boat so the moulds went into storage. “I did think that it would be good to use them at some point as they are a really nice set of moulds but didn’t want to compete with the SP1 as we were trying to get it established in the market. 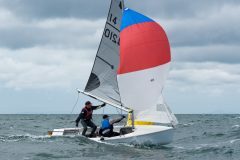 “Looking ahead now to the 2018 GP14 World Championships at Mount’s Bay next year and we know there will be people starting to think about upgrading for the event so we have decided to start building a new boat, the SP2 using the Boon moulds to give people a choice. 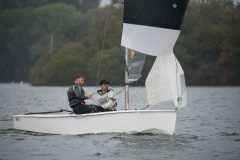 “Both boats will be priced the same at £8,300 for a brand-new boat, racing specification with a full set of Elite Sails. 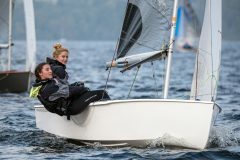 Both SP boats will be the same specification which includes Allen fittings, Selden mast, English Braids rope, mounded foils from CNC Moulds and a full set of Elite Sails.